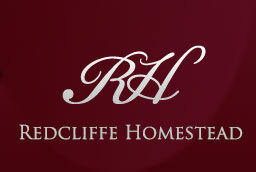 Redcliffe Homestead, as a business, has the responsibility to ensure, as far as is reasonably practicable, the health and safety of its workers, contractors and most importantly, our guests and any other visitors who could be put at risk by the work of the business. Under the Health and Safety at Work Act 2015, as the PCBU (person conducting a business or undertaking), I have the responsibility to manage all work risks. Risks arise from being exposed to a hazard, but the focus is on risk management, rather than hazard avoidance. The goal is to reduce the chance of risk happening and/or to reduce the harm caused by the risk. All near misses, incidents and accidents will be recorded and reviewed. New hazards identified will be added to the Hazard Register, but more importantly, measures will be taken to eliminate or at least minimise the risk caused by the hazard. The review will ensure control measures are continually improved. All contractors and tradesmen working on site must have supplied a copy of their own Health and Safety Policy. They must follow all relevant safety procedures and use all the required safety equipment to ensure the safety of both themselves and anyone else at the Homestead. The Emergency Management Plan outlines the emergency procedures specific to Redcliffe Homestead. Also included are non-emergency phone numbers and a list of emergency equipment on site. The Health and Safety Policy and its associated Procedures and Report Forms have been written using guidelines from WorkSafe NZ, in order to comply with the Health and Safety at Work Act 2015. Regular reference to the WorkSafe website provides up-to-date Approved Codes of Practice and Good Practice Guidelines when required. The Homestead is adjacent to a commercial kiwifruit orchard. Tractors and mowers will be driving at times on shared tracks. General orchard operations will not endanger guests, provided the guests act responsibly in the interests of their own health and safety. Guests will be told of any specific hazards that may occur during their stay at the Homestead. It is essential that guests take note of any safety warnings issued by the hosts. The Health and Safety at Work Act 2015 (HSWA) provides the framework to secure the health and safety of workers and workplaces. From 4 April 2016, under the HSWA, every business has the responsibility to ensure, as far as is reasonably practicable, the health and safety of workers and any others who could be put at risk by the work of the business. The focus is on risk management rather than hazard avoidance. Risks arise from people being exposed to a hazard. Sue Calcinai, owner/manager, has the ‘primary duty of care’ - primary responsibility to ensure, as far as is reasonably practicable, the health and safety of workers and any others, including guests, who could be put at risk by the work of the business. Sue Calcinai, owner/manager - duty to take reasonable care of personal health and safety Tradesmen/Contractors – duty to take reasonable care of their own health and safety AND comply with reasonable health and safety instructions from PCBU. Duty to keep themselves safe, not cause harm to others AND comply with reasonable health and safety instructions from PCBU. Are control measures effectively eliminating and/or minimising risk? Use review to ensure control measures are continually improved. To ensure the health and safety of myself (as a worker) and tradesmen, and to ensure that guests and visitors are not put at risk by the work of the business. Warnings re slippery surfaces, ladder use, mower use. monitor my health and the conditions at the workplace for the purpose of preventing injury or illness arising from the conduct of the business or undertaking. We value your opinions. If you have comments or questions about our Health and Safety Policy, please contact us.